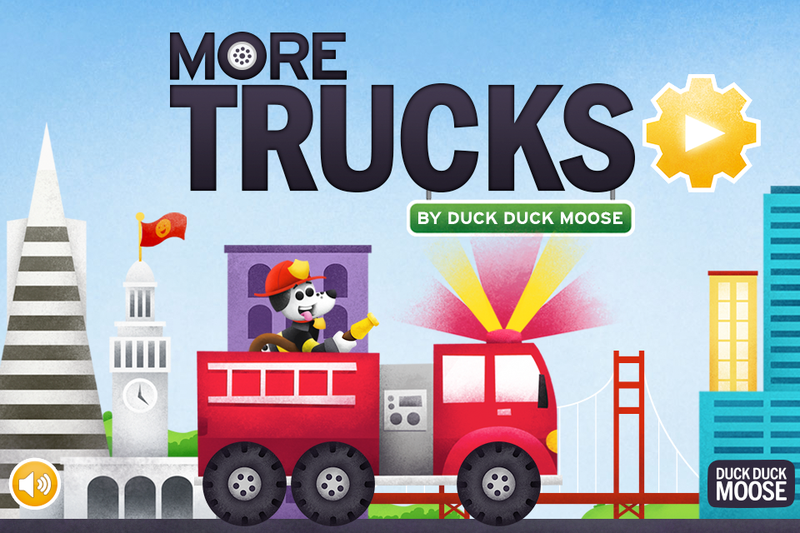 Drive a fire truck, race monster trucks, build structures with a crane, drive a flatbed tow truck, and stack cars in junkyard! 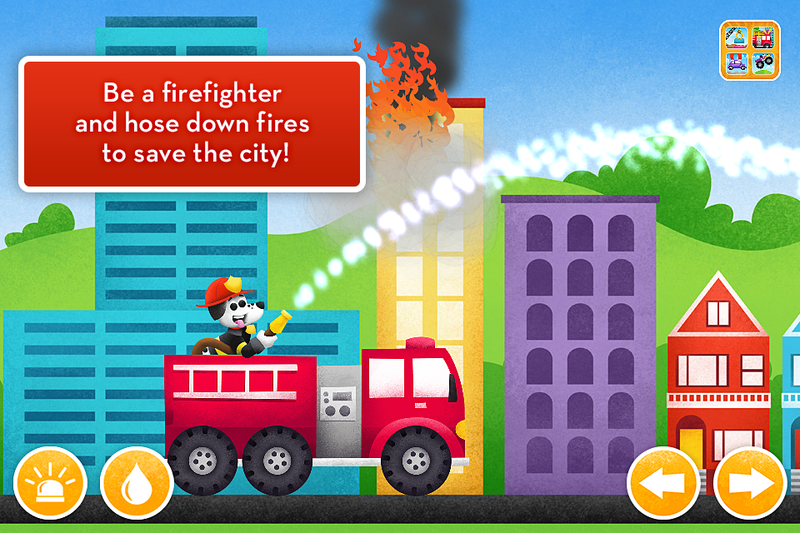 FIRE TRUCK: Be a firefighter! Hose down the fire, and save the city of San Francisco. 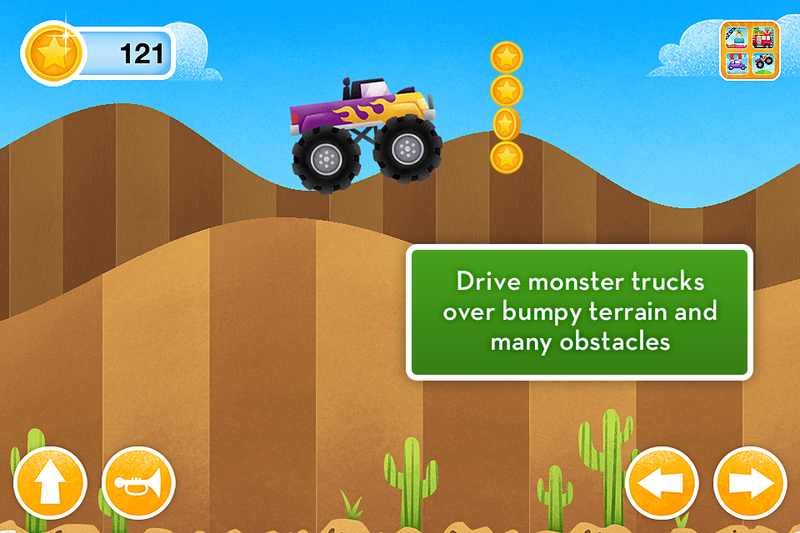 MONSTER TRUCKS: Drive 10 different monster trucks through an ever-changing, bumpy terrain and over obstacles. 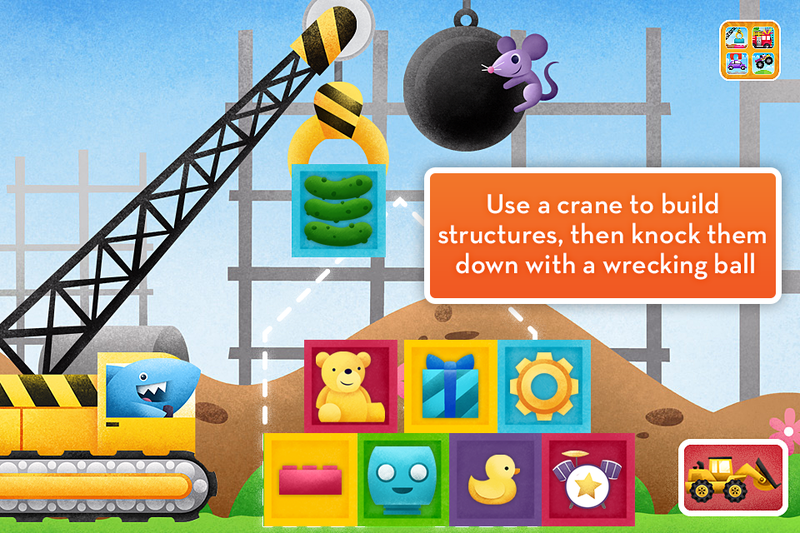 CRANE & CONSTRUCTION SITE: Use a crane to build structures, then knock them down with a wrecking ball. 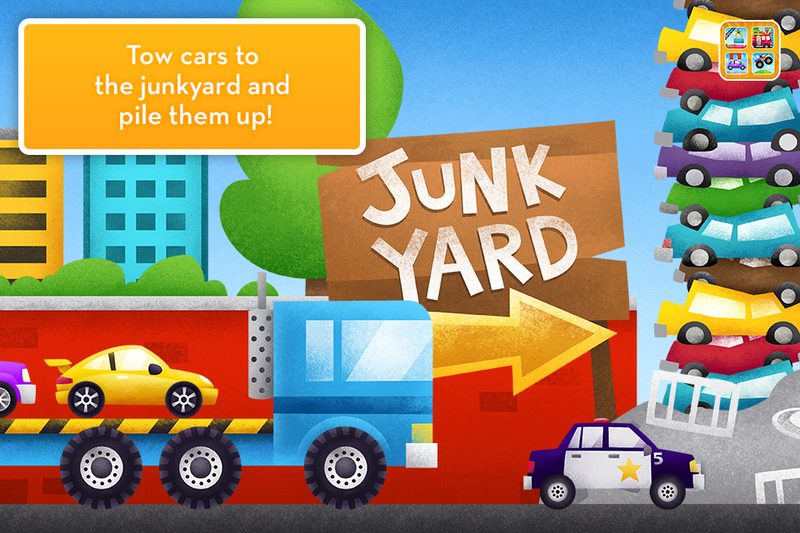 FLATBED TOW TRUCK & JUNKYARD: Tow cars to the junkyard and pile them up!